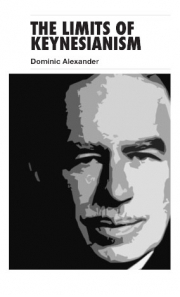 Socialist Register 2014: Registering Class (Merlin Press 2013), 352pp; Part One: neoliberalism and the ruling class. 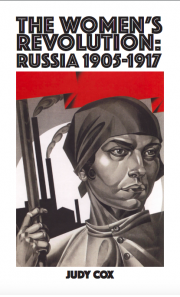 This year’s Socialist Register, marking fifty years of the intellectual journal, is about class. Overall its mission is to restate the relevance of class – in an intellectual and political climate that rejects class as reductionist, antiquated or irrelevant – and to creatively apply class analysis to contemporary reality. It is a big, ambitious project. 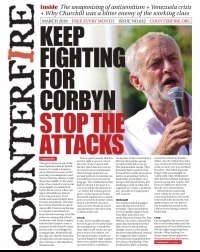 This is the first half, and the second half will follow in the form of the 2015 Socialist Register (every issue since the mid-1980s has been themed, but it is unusual for a topic to be deemed so monumental that it has to be spread over two annual volumes). 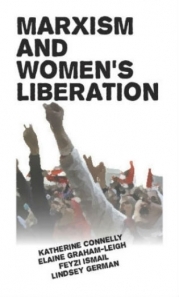 The fourteen essays in this volume consider class structure, class consciousness and class struggle; some focus particularly on the contemporary ruling class, others on changes in the composition of the working class, but there is a sense of class relationships running throughout the volume. A key strength is the close attention to developments in class composition, with a sharp sense in many contributions of both the continuities and the changes. The majority of the essays are by US, Canadian and British-based academics. The whole topic of class is seen as not merely an objective set of economic and social conditions, but as a question of agency and action. How today’s ruling classes effectively impose their will, in the wake of an economic crisis that has shaken their legitimacy, is an important consideration, but so is the deeply unfashionable topic of working-class agency and organisation. As with last year’s volume, The Question of Strategy, Registering Class is shaped by the post-2008 crisis of capitalism and the intellectual and political challenges it has posed. 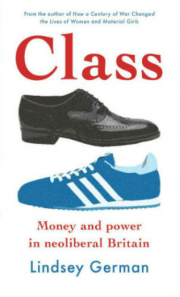 It can serve as a useful framework for discussing the forces that shape prospects for class struggle in an era of crisis; it is therefore a theoretical resource for those who want, after over thirty years of ruling-class neoliberal offensive, to change the balance of class forces in favour of the working class. Almost all the essays are, in my view, stimulating and insightful, but I will focus, over two instalments, on five of these contributions which I find particularly fruitful for both grasping the changes in class structure and struggle, and providing guidance for the way ahead. These cover a wide territory and also serve as broadly representative of the volume as a whole, though with something of a North Atlantic bias in the selection (the volume also includes two extremely interesting essays on Brazil). This article (Part One of this review essay) focuses on two contributions to Registering Class that concern the nature and composition of today’s ruling class. Part Two of this review, to follow next week, examines a number of essays which look at the working class: its changing composition and conditions, its forms of organisation, and debates about such issues as whether there is now a distinct ‘precariat’. Bastiaan Van Apeldoorn’s essay, ‘The European capitalist class and the crisis of its hegemonic project’, starts by noting that, more than anywhere else, Europe has in recent decades experienced a process of ‘transnational capitalist class formation’. A set of institutions and primarily economic relationships has strengthened links between ruling and business elites in different countries. This does not mean that national boundaries no longer matter, but at the highest levels of transnational corporations there has been a development of closer relationships across borders, with more powerful transnational bodies. These elements in European ruling classes have been instrumental in driving through neoliberalism. Van Apeldoorn argues that in Western Europe there is now ‘a transnational capitalist class – consisting of those who own and control Europe’s largest transnational corporations (TNCs) – that takes the European region as its primary frame of reference and organizes itself to influence the (socio-economic) governance of that region, in particular through the institutions of the European Union (EU)’ (p.190). I think it is necessary to be careful here. What Van Apeldoorn describes is certainly a core section of the ruling classes of Western Europe, increasingly integrated through the EU, but is far from being the sum total of the ruling classes, which are differentiated and still retain a strong national character. Nevertheless, the account of this section of Europe’s ruling classes is perceptive and useful, tracing its emergence and growth in influence during the neoliberal era. Leading TNCs have liaised together in order to make European capitalism competitive in relation to US and Japanese firms, and to bend European governments’ policy-making to their interests. 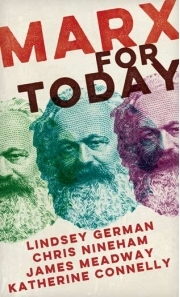 Van Apeldoorn describes this elite group as ‘in the vanguard of the European capitalist class, providing it with internal cohesion, arbitrating rival outlooks and welding them into a coherent project and long-term strategy to advance the general interests of European transnational capital’ (p.191). They have organised themselves in the little-known but influential European Round Table of Industrialists, formed in 1983 and today consisting of around 45 CEOs and chairmen of major corporations centred mainly in the ‘core’ western European states. EU institutions and policies have been the primary focus of this group’s attentions. This elite group has largely fused the interests of industrial capital and finance capital, with access to global financial markets having ‘increasingly become essential to the globalizing strategies of industrial TNCs’ (p.193). This element of the ruling class has long been in the forefront of establishing neoliberal hegemony in Europe; a largely successful, if uneven, project. Since the Eurozone crisis developed it has played its part in encouraging the entrenchment of divisions between the stronger core states (notably Germany) and the ‘periphery’ countries of southern Europe like Greece, Spain and Portugal. ‘Even though transnational capitalists have more in common with each other than with their more domestically oriented compatriots, they do not form a fully homogenous group either; the capitalist class generally remains potentially divided along structural lines’ (p.199). Europe’s ruling classes face serious problems. The whole neoliberal, finance-led accumulation strategy has run aground. There are profound imbalances within the Eurozone. Austerity policies have accentuated some of the problems by cutting demand. Democracy has been further hollowed out, as people have been faced with policies seemingly handed down from distant, anonymous and unaccountable institutions. The state has consequently become more coercive and authoritarian. Political elites, in this context, pander to widespread insecurity and fear, fostering Islamophobia, nationalism and the scapegoating of immigrants. But this encourages the growth, in many European countries, of populist right-wing and far-right forces which are deeply hostile to the whole European integration project, or in some cases a sort of cynical anti-politics (these are sometimes, but not always, the same thing). The working class, meanwhile, bears the brunt of austerity. In this wider context of European neoliberalism, Britain has, since Thatcher, been firmly in the vanguard. Since the crisis of 2008 it has been among the most dedicated champions of austerity. It is the British situation to which we now turn. Colin Leys writes specifically about the British ruling class. This is no general or abstract summary of what is meant by a ruling class, but a concrete examination of the distinctive features of today’s British ruling class. Leys writes about its close relationship, and elements of crossover, with a wider European ruling class, but nonetheless insists it is possible to discuss a particular national ruling class. It is differentiated in that some elements have an international outlook and are concerned with global markets (exemplified by the ruling-class elements discussed by Van Apeldoorn), while other elements possess a more nationalist outlook. This class has, like any ruling class, a tiny core and a somewhat larger periphery which is connected to the core. Leys suggests that between one million and two million people can be regarded as part of this ruling class, so even when broadly defined it is a tiny minority of the population. It has, as a whole, enriched itself throughout the neoliberal period, and its own wealth has remained untouched by the economic crisis. Leys begins by observing that the British ruling class faces the same basic problem as many other ruling classes: how to ‘resolve the tension between the requirements of global capital and the interests of the population whose votes they need to stay in power’ (p.108). The unelected business chiefs require, after all, a stable elected political wing of the ruling class with a degree of democratic and popular legitimacy. This dilemma is especially pertinent in Britain because the country is more than usually vulnerable to two kinds of external pressure. US pressure as a result of having since 1945 been effectively a sub-imperial protectorate of America. Secondly, vulnerability to the fluctuations of the global financial markets because the City of London is the world’s leading financial centre: 2010 figures indicated that ‘London handled 18% of the world’s interbank activity, 37% of foreign exchange turnover and 46% of interests rate derivatives turnover’ (p.131). ‘Many British capitalists, and certainly the country’s 2000-plus multi-millionaires and all the shareholders in UK-based transnational companies, own capital in other countries. Conversely, a large part of the capital invested in Britain is owned by foreigners’ (p.109). Neoliberal policymaking is encouraged – to say the least – by corporate lobbying and threats, credit-rating agencies and international institutions like the IMF, WTO and EU. The British political elite has found it increasingly difficult to retain popular legitimacy as well as enforce corporate and finance-capital interests. There is, too, a distinctive problem for the British ruling class is the shape of underlying weaknesses in the economy. Manufacturing was massively eroded in the 1980s, while the economy became increasingly dependent on the financial sector. During the 1990s and up to 2008, gross domestic product (GDP) rose significantly, although a rise in inequality meant the benefits were, to put it politely, unevenly distributed. The rise in working-class living standards had much to do with tax credits, a steep increase in household debt and a growth in the number of women working full-time. In 2008 a banking collapse, with terrible consequences for the economy as a whole, was only averted through massive bank bailouts: ‘the rescue was to be paid for by the British working class in the form of unemployment and the loss of social services and social security’ (p.111). One effect of austerity has been falling consumption, ensuring that the economy flatlines, and the deficit grows. The financial sector has remained unregulated and unreformed, while any serious action on tax evasion, or any other measures to make the rich pay for the crisis, has been emphatically ruled out. At a general level Leys defines the ruling class by citing Marx’s point that the class which owns and controls the means of production is also the ruling class politically. This ruling class is not limited to the owners of capital themselves, but includes ‘the monarchy and its functionaries, the judiciary, the police, the military, the security services, the established church hierarchy, the senior civil service, senior doctors and lawyers, etc’ (p.116). Senior figures in such state institutions as police, military and civil service are an integral part of the ruling class, which requires a strong national state that has the appearance of ‘neutrality’, of embodying the ‘national interest’ and hovering above rival class interests, while in fact reflecting and enforcing class rule. ‘To be accepted [in the ruling class] you must be seen to be committed to the ruling class’s interests and values, and the indicators of commitment are, precisely, connections, established through private schools, clubs, marriage, social links and spending patterns’ (p.117). ‘in 2013 the thousand richest people in Britain between them owned assets worth £450 billion. In 2012 there were 6,015 High Net Worth Individuals – for which the criterion is having at least 30 million dollars – living in London. These people are the super-rich. A high proportion of them are foreign-born: in 2012-13 foreigners, led by the Russians, bought over half of London’s properties costing more than £2 million’ (p.118). ‘London has effectively left the UK; it belongs instead to a loose international federation of global cities united by their economic dynamism and cosmopolitanism and the people who flit between them … The politicians, civil servants and journalists who make up Britain’s governing class have had their world view shaped by living in the capital in its wealthy satellites. They run the country, but effectively live in another’ (p.118). This refers to the London (and parts of the commuter-belt home counties) inhabited by a tiny minority of the population, not the working-class London in which millions live. It also evades the question of London’s economic relationship with the wider UK. Nonetheless, it is a perceptive point which highlights the London ruling class’s inter-relationship with global capital and its distance from the mass of British people, a source of a whole set of tensions. Extremely conspicuous consumption is an important marker of social status and belonging (to the ruling class) for this elite. The Financial Times caters to this with its weekly ‘How to Spend It’ supplement, which contains almost nothing that could be regarded as affordable to most people. Education is another vital means of establishing ruling-class belonging, and furthering its solidarity of interests, with astronomical fees for the elite private schools. The City of London, despite being more global than British, is lodged firmly in the heart of government. There are tight ties binding many leading Tory politicians and representatives of the financial elite. In a grotesque mockery of democracy, the City even has a permanent official in the House of Commons – the ‘Remembrancer’ – who has a staff of fifty people scrutinising all parliamentary business and lobbying MPs and government on behalf of the financial sector. The financial lobby has of course influenced Westminster policy-making for many years, in particular by supporting a regressive tax policy and blocking any moves towards tax reform, or closing loopholes that allow massive tax evasion and avoidance. Donors from this section of the ruling class provide the Tory Party with a high proportion of its funding; it is fair to describe the current Cabinet as a bankers’ government. ‘The class solidarity felt between the leaders of parties and the leaders of the City, reinforced by an inherited class culture of tradition and deference, tends to make any public questioning of the terms seem like vulgar bad manners. The problem of rule then becomes to a significant extent one of how to win elections while imposing on the electorate policies the City needs to maintain its position in the global economy’ (p.126).